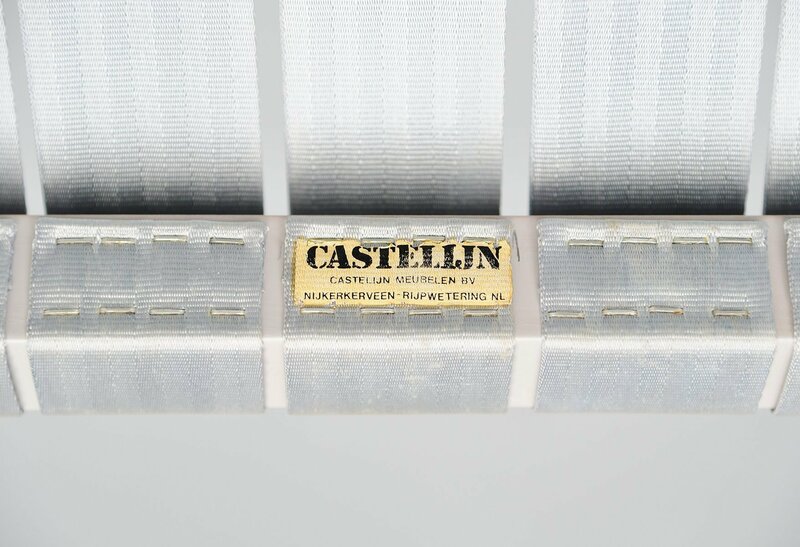 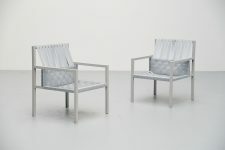 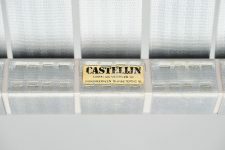 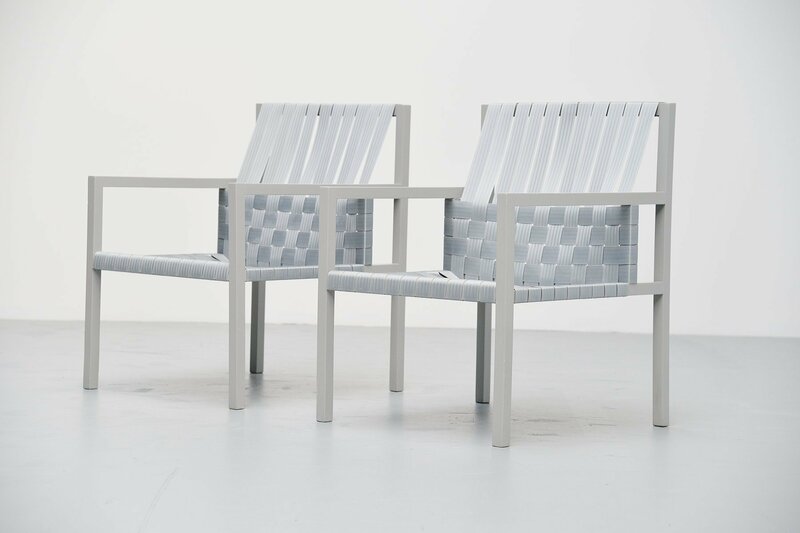 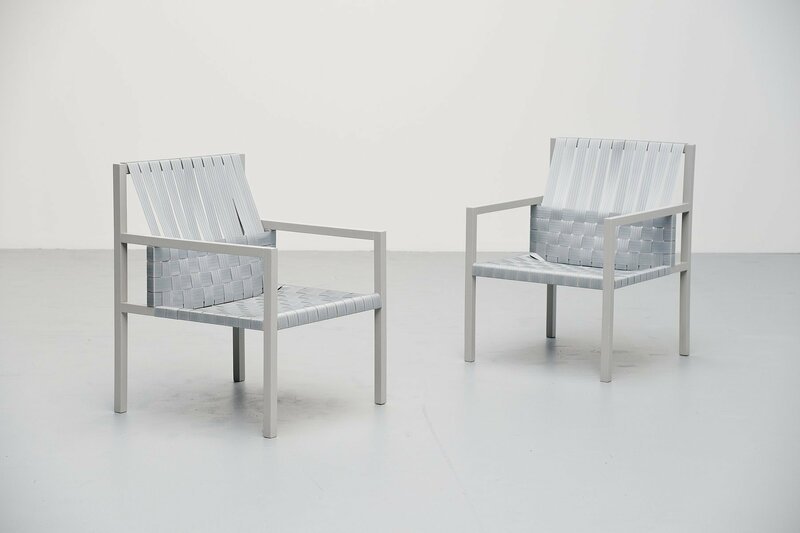 Fantastic pair of easy chair designed by Gijs Bakker for Castelijn, Holland 1978. 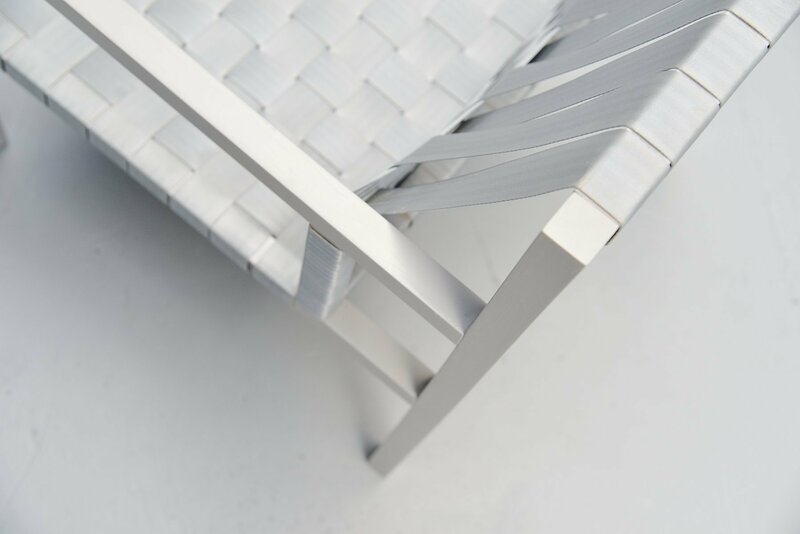 This chair called webbing chair, but soon got the name seatbelt chair as the seats are made of woven seatbelts. 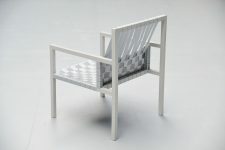 This chair was designed in 1978 but only produced for a very short period and therefor not many of these are made. 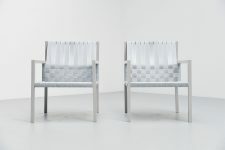 There were different models in this series, dining chairs, lounge chairs, with and without arms. 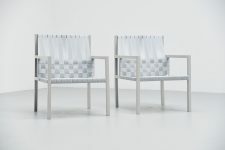 This is for the low easy chairs, largest and most comfortable model. 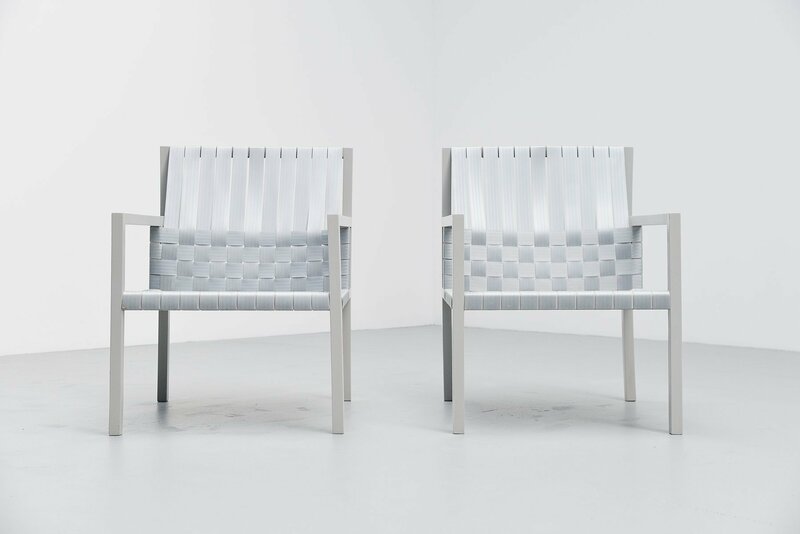 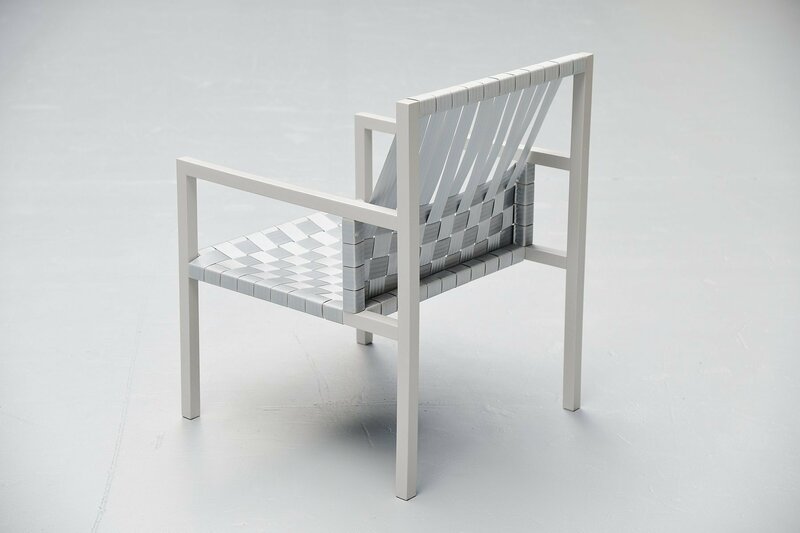 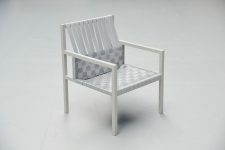 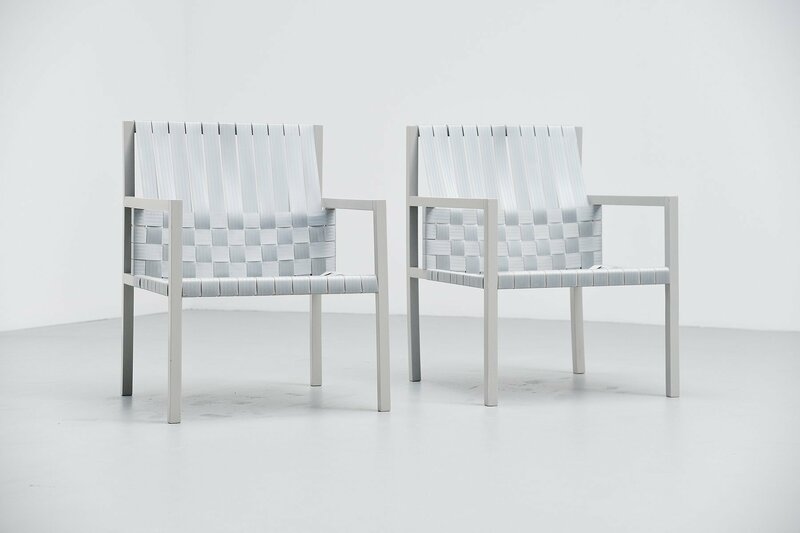 Its made of grey lacquered beech wood and the seat is made of grey seatbelts. 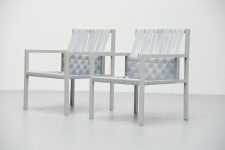 We have 4 of these in stock, they are priced and sold per 2.